Soziety Collection captures the picture-perfect moments where the essence of all you aspire to be suddenly appears in the palm of your hand. Soziety's shimmering surface reflects that which is utterly gorgeous, truly remarkable, and even a bit outrageous. 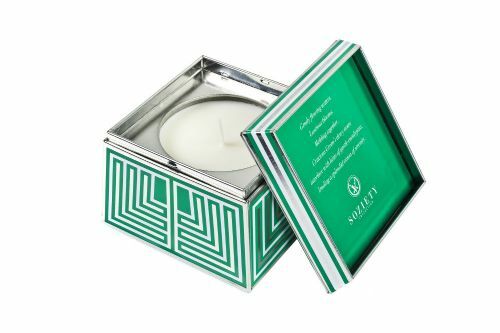 Consisting of eight uniquely sophisticated scent experiences, the collection's candle and trapezoid tin provides high visual impact with its dazzling packaging. The visual allure of the exterior packaging is juxtaposed with the classic purity of the hand-crafted glass vessels within.